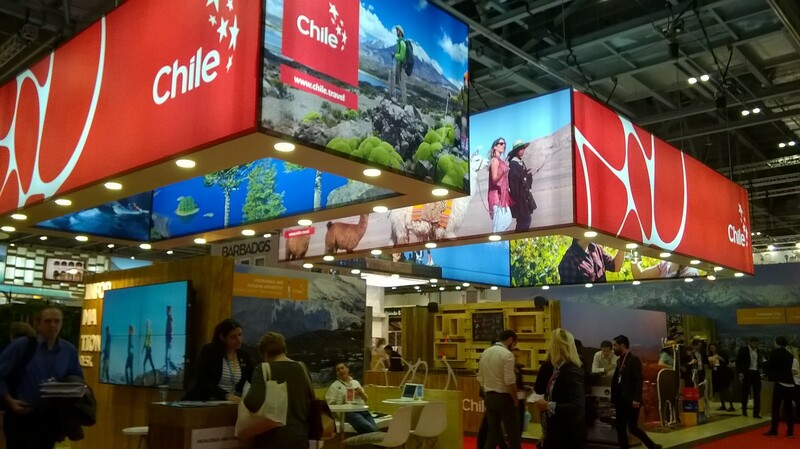 The World Travel Market takes place every year in November and brings about 50.000 trade professionals to London. The show offers great insight in future trends, Responsible Tourism, and creates opportunities for global networking and cooperation. 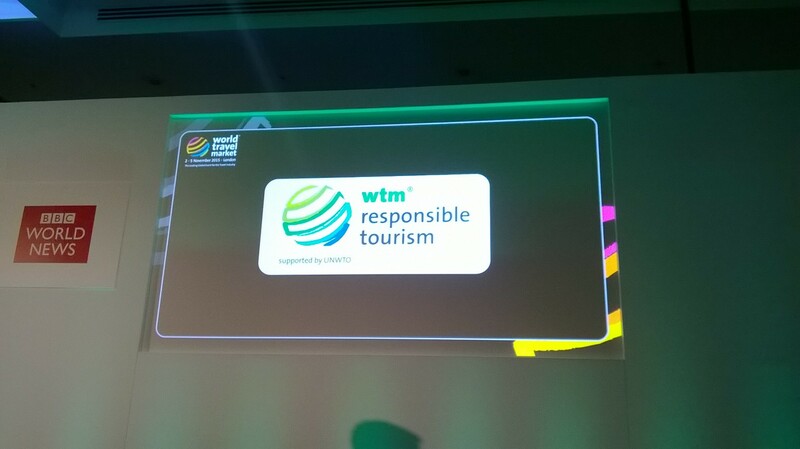 Apart from conferences and seminars in the responsible tourism sector, the renowned “World Responsible Tourism Awards” ceremony is held at WTM. Businesses and initiatives who have demonstrated a strong approach to responsible tourism practices are awarded in 13 different categories. The preparations for my first visit to the WTM London began in mid-September. I was choosing interesting events and conferences and diligently setting up meetings with responsible tour operators. I must admit I was very curious about the “Speed Networking“ Sessions organised by WTM: A big room full of outbound businesses, called the “Buyers’ Club”, meeting inbound tour operators or services in short 5 minute meetings, exchanging business cards and – maybe – already planning a future collaboration. CBT is a type of responsible and sustainable travel, in which the cooperation with small, often rural and indigenous communities supports the locals with additional income through tourism. For the traveller CBT opens up the doors to a place, allows to immerse into the culture by partaking in typical activities and thus learning more about the community’s way of life in an authentic way. Finally November 3rd arrived and I got up early for the first day’s excitement. To my great disappointment I found out shortly after that my flight had been cancelled. So I quickly booked the next available flight, which unfortunately would bring me to London only in the late afternoon. Due to this unpleasant event I missed all the interesting conferences I had planned for that day. The day hadn’t gone the way I anticipated, but there was a silver lining even in that cloud. 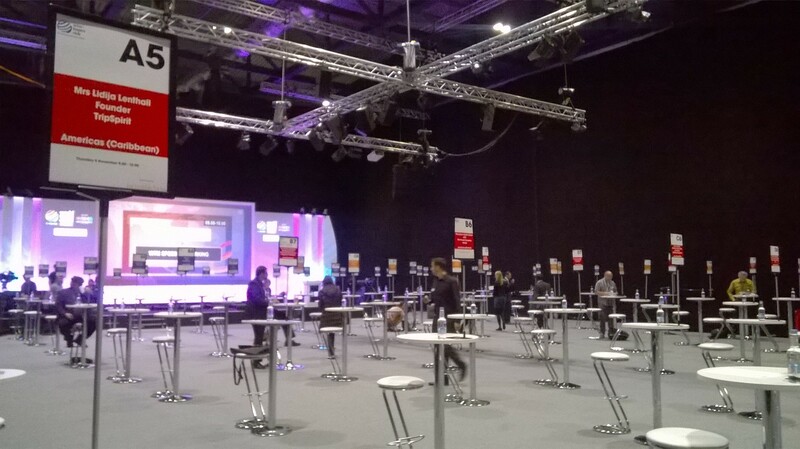 I had managed to arrive at the ExCeL Center just on time for my last meeting of that day and the lovely people I met and the great conversations we had made up for all. Wednesday turned into a very exciting day! It all started with the “Responsible Tourism Speed Networking” session, where I met many interesting companies from all over the world. Even though the time was short, it was quite possible to quickly identify common interests and set up the next meeting. My original plan to attend conferences and the World Responsible Tourism Awards held that day, was pushed aside in favour of a visit to the tour operators who had impressed me most. After six meetings and lots of great information and input, my brains weren’t exactly fresh anymore. 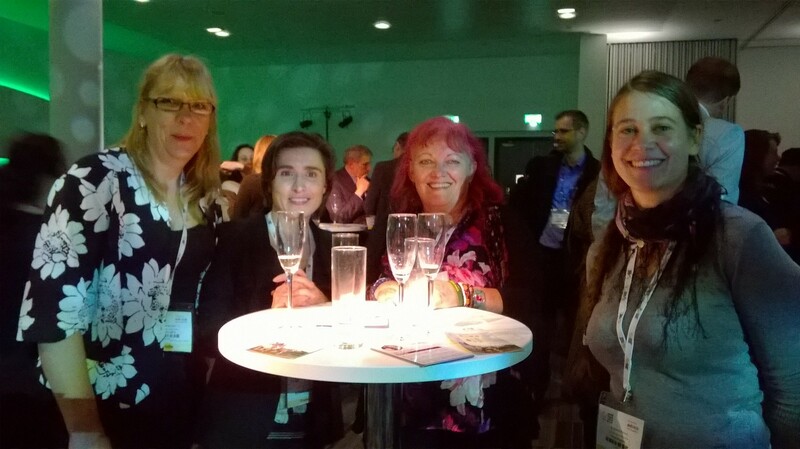 Now it was a perfect time to join for a drink at the “Responsible Tourism Networking Reception”. After taking a picture for them, I joined a few ladies at their table who seemed in very good spirits. As we introduced ourselves, I found out I was standing next to Gold winners of the “World Responsible Tourism Awards” – “CACH – Campaign Against Canned Hunting”! This was a fantastic surprise as I have been following the dedicated work of CACH for some time and admired their tireless efforts to shed light on the canned hunting industry in South Africa. The organisation works on exposing the brutal truth and the connection between lion cub petting farms for volunteers who mean well, and the canned hunting industry for trophy hunters. I had the pleasure meeting the various representatives of the international CACH offices: Malena Persson from Scotland, Julie Lasne fram France, Linda Park from South Africa and Sarah Dyer from the UK. They had won gold in the category „Best Animal Welfare Initiative“. The joy and happiness about the acknowledgement was huge and we touched glasses to the victory – Congratulations! Shortly after we were joined by another gold winner of the day, this time in the category „Best for Poverty Reduction“ – Pandurang Taware founder of “Agri Tourism Development Company Pvt Ltd” in India. His business focuses on agri-tourism providing training to farmers for tourism related activities in agriculture, thus helping to diversify the income stream for poor areas. Thursday, 5th November: Great people and lots of Samba! Of course I also attended the second “Speed Networking” session. I assumed though, that this time there would be less responsible tourism offers. But I was pleasantly surprised! Some really exciting businesses and projects came to my table and I promised to visit them at their stand. After the very busy hour in the morning had passed, one could observe a more relaxed atmosphere as the trade show was nearing its last hours. The corridors were less busy than the days before, the lines at the food stalls were short and in general an easy going vibe filled the halls. At around 3pm the musicians of each stand started to perform their traditional music and dance. The Brazilians were the loudest drummers in the Latin America hall. 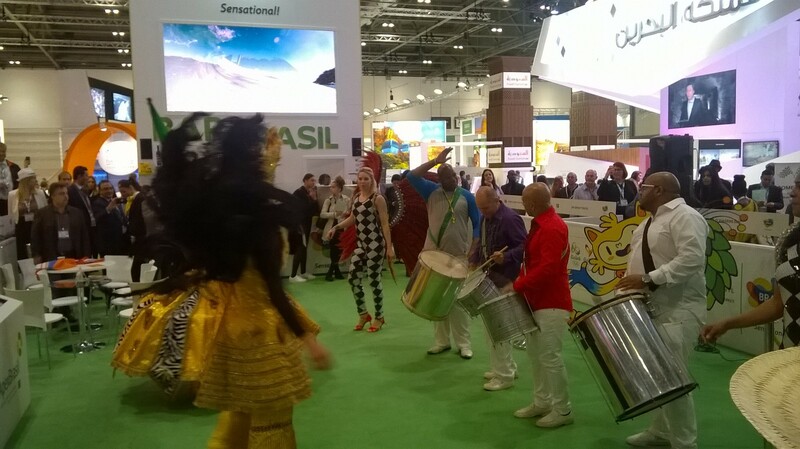 Their rhythms and the Samba dancers attracted a great crowd. Also the traditional Sri Lankan dancers from Kandy performed to hypnotizing drums and beats. Thus a colourful, exciting and diverse trade show slowly draw to an end. It was a brilliant show! I was impressed by the diversity of countries and business opportunities, and I was able to achieve my set goals. I was very happy that I could meet and learn about so many different CBT companies and projects, which don’t consider travel just as business but also as a chance to create economic and social opportunities for poor regions. But to have met the lovely people, who with so much passion and commitment are supporting small communities and ethnic minorities, is for sure the best part of my first trip to World Travel Market London.